All Of Your Roomates Murdered . 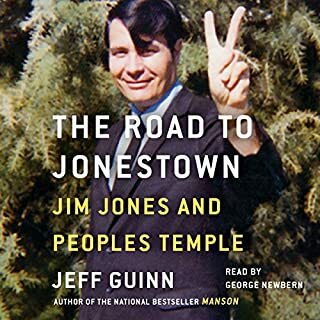 . .
Simon Wells' breathtaking account of life and murder with Manson and the Family, charting the influence of the Beatles, the Beach Boys and the Black Panthers on their enduring legacy of horror. 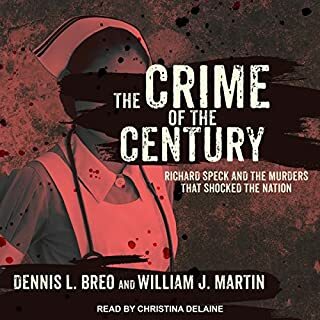 Where does Manson rank among all the audiobooks you’ve listened to so far? This book is in the top 5 of all the books I've listened to and the #1 biography. 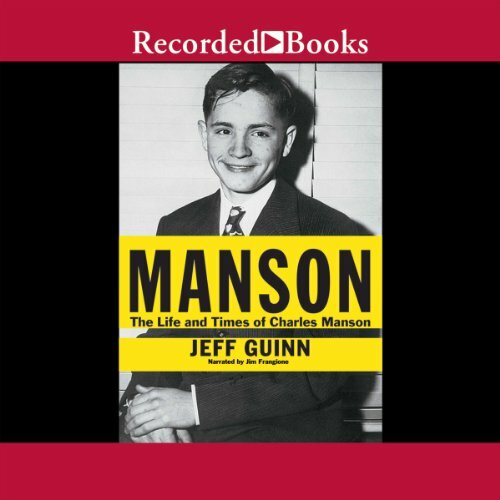 The author put Manson's life in context with a view to the current events of the eras. It integrated social movements like the rock and roll scene, the Chicago Convention of 1968, Kent State and the Vietnam war as the background to Manson's story line. The opening scene where the Golden Penetrators, Dennis Wilson of the Beach Boys and his entourage, go to the Whiskey a GoGo with Charlie Manson. It establishes the Rock and Roll hierarchy and Charlie's place in it in a nutshell. I don't know what the tag line would be but I nominate Colin Farrell to play Charlie Manson. I would have liked to see the photos that came with the book. My only complaint about Audible is that they don't include photo downloads with all of their books that include photos. It would be easy enough, especially with the Audible app. I don't need "Listening Badges" or the graphs that chart how much or how often I listen. I need the photos that are in the actual books that I purchased. What made the experience of listening to Manson the most enjoyable? 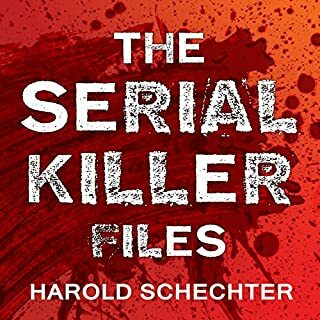 This book is well written, the narration is superb.I was a young teenager when the Tate/LaBianca murders occurred. 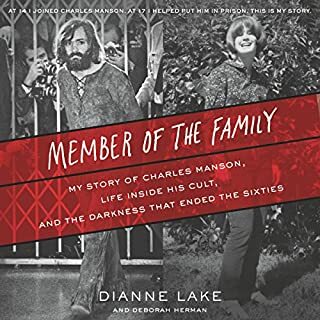 The author writes in great detail, describing the climate of the time~ The drugs, the music, the scene at Haight Ashbury.The author writes of Manson's life from the time he was an infant~ Charlie's first foray into prison life around the age of ten, and all of the subsequent time spent in prison. He was a career criminal. His magnetic hold on his followers is both fascinating and scary. The book does not spare the gruesome details of the murders. A read NOT for the squeamish but nonetheless a fascinating and gripping account. EXCELLENT READ AND TERRIFIC NARRATION. What did you love best about Manson? I often pass on books if the content is insufficient or if the narrator is too boring. I LOVED this book because the content was absolutely fascinating and the narration was SOLID (no boring fluff here). What was one of the most memorable moments of Manson? As a big Beach Boys fan, I found the material relating to Dennis Wilson, Terry Melcher, etc, VERY fascinating. The whole book moved me. Buy it. It's worth the read. Years ago I read Helter Skelter. It was interesting but sketchy of believable information. 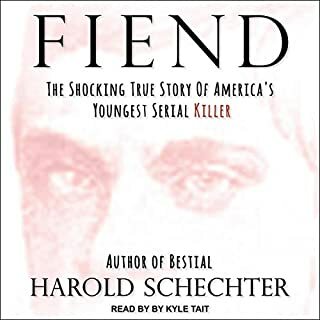 Because it was authored by the Manson prosecutor, it seemed to have a narrow perspective with obvious exaggeration so as to boast about himself. I am a fan of Jeff Guinn. (I read "Going Down Together" Bonnie & Clyde which hooked me on Guinn.) His research is very thorough. This audiobook has a lot of Mason's background, unknown to me before reading it. Guinn puts the story in the right place for history and culture. Most of all, Guinn did not attempt to make Mason a god, devil, or magician. He stayed with the facts. Mason's history was plenty colorful without need for exaggeration. I will read it again. It was factual, not sensationalized, and was supported by research. The story is a human tragedy. Manson victimized many people. He also was a victim. While it is hard to balance the different victims and types of victimizations, I clearly saw Manson's manipulations and his sociopath. I hate that Manson feels rewarded and glorified by continuing publicity. However, it is important this story be told. Yes, if they're interested in the Manson phenomenon and haven't read much about it. The story was interesting, fascinating, instructive... not too "enjoyable." One can't go back and change the gruesome facts. Could you see Manson being made into a movie or a TV series? Who should the stars be? IMO, the best has already been made: The original TV movie "Helter Skelter." Well written. I particularly enjoyed the trip back in time to the late 1960s and the well-painted portrait of the California lifestyle in the Haight and Los Angeles. Another triumph for Jeff Guinn. So good that it makes me wonder &quot; Were you there in Charlie's pocket Mr. Guinn'?&quot; ! I have not, to date read another book even close to as thorough as this text. Although it covers one of the most gruesome cults in our history it is so very easy to read. I have found many in the genre can be overwhelming and heavy with unnecessary interjections and opinions from the author. This is definitely not the case here. There is also a really decent follow up bringing us up to 2013. Manson starts at the very beginning. We see a neglected child. However it is apparent from day one that this child is neither ordinary or extraordinary. This child is destined to be different. Charles Manson certainly lived up to that. No detail is left out concerning his childhood or his many years of incarceration. I learned quite a lot of new information about ‘the family’ and of course for those who can stand it, and I must admit that I wept through this part, we are not spared about the dreadful murders that will live on in infamy. The court case is intriguing and I lost a lot of sleep as I could not stop listening to what happened to the Manson Family members during the years that followed. 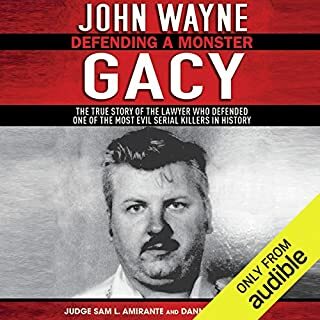 Although the detailed accounts of the murders were heart wrenching they were made easier to ‘swallow’ due to the brilliant talent of Jim Fangione. A total winner. FIVE stars all the way. Just when I thought I knew everything I needed to know about Mnson, there's more to learn. I enjoyed the bok very much and would recommend it to true crime lovers. The stories, although chilling, were gripping and interesting. Terrific info for the information seeker! I was only 1 yr old when this went down, so have known very little about it other than the fact that Charles Manson was insane. Now I have learned enuf to solidify that statement! I had heard about the "Manson Family" in the past, but didn't realize this man actually had a cult environment. Holy Smoke! I also didn't realize he had such a "tie" to the LA scene and well-known names. Pretty sure I will listen to another book or two regarding this creature of his own creation! What other book might you compare Manson to and why? None - first I have listened to that has this type of insanity to it. But very interesting!! Extreme reaction of disbelief regarding the killings and the "matter of fact" way they were programmed that it was the right thing to do. It was as if there was no remorse in most of them. Ready made great story, just okay book. The character presentation is a bit weak. The narration is awful with a nerdy voice presenting a gruesome tale and is completely monotone.